HTC is a pioneer in the smartphone world. The Taiwanese manufacturer got very early into the game with its Windows mobile devices, many of them marketed under carrier brand names. It also designed and manufactured the first Android phone in 2008, the T-Mobile G1/HTC Dream. However, in the more recent past HTC has been struggling to compete with its bitter Korean rival Samsung. While HTC's 2012 flagship device, the One X, got rave reviews and was universally praised by technology writers as one of the year's best devices, it could not match expectations in the marketplace where many consumers found Samsung's Galaxy S3 to be the more compelling choice. 2013 could therefore be a "make-or-break" year for HTC and it seems the company has done everything it could to prepare itself. With its 8MP camera, fast F2.0 lens and a 1.5GHz multi-core processor, last year's One X was no slouch, but the new 2013 flagship has been improved in almost every area. The HTC One swaps the One X's polycarbonate body for a beautiful all-metal unibody design which houses a 4.7-inch 1080p Full-HD screen, 2GB RAM and a Snapdragon quad-core processor. The photosites on the camera sensor in the HTC One are approximately the same size as those in enthusiast compact cameras such as the Pansonic Lumix LX7. 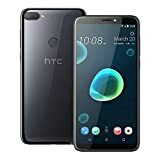 While all the general device specifications leave no doubt that the One is a high-end device, HTC has put special emphasis on its flagship phone's image capturing capabilities. Like its predecessor, the HTC One comes with a fast F2.0 lens but also offers an optical image stabilization system, making it, at least on paper, an ideal low-light imaging smartphone. The HTC One is not the first smartphone to sport a fast lens and OIS, but its 4 "ultrapixel" CMOS sensor is a novelty in the mobile space. "Ultrapixels" is essentially a marketing term that has been coined by HTC to describe pixels that are larger than those on competing models. The core of HTC's argument is based around the idea that using fewer, larger pixels on a sensor that's the same size as the 8 or 13MP units found in competitors should offer better image quality. This of course runs counter to conventional marketing, which has always contended precisely the opposite, i.e. more pixels are better. There is an argument for using fewer pixels on a smartphone, since most images are edited and/or shared at lower resolutions than 4MP. That said, there’s a pretty strong argument that what really determines image quality when looking at the image as a whole is the total amount of light captured by the sensor, not by each individual pixel. We've put the HTC One through our review process to find out what ultrapixels mean for image quality and how the device generally performs in imaging-related tasks. Read on to find out how it did. If you would like to see the HTC One in a side-by-side image quality comparison with the Samsung Galaxy S4, Apple iPhone 5, Nokia Lumia 920 and Apple iPhone 4S please also have a look at our comprehensive Smartphone Super Shootout and our comparison with the Apple iPhone 4S. We've considered every aspect of the HTC One, with the photographer in mind. We examined the user interface of the native camera app and its special features. We experimented with the camera's performance when taking stills and video. Click any of the links below for more information of specific functions and continue to our conclusion for a final summary of our findings. * HDR camera ( i believe this free app has full HDR features from HDR Camera +). Not sure if that's true? Anyone know? Can anyone suggest one over the other for my HTC ONE? The HCC One ultrapixel camera has to be the worst i have ever owned. The colours are totally different from the real life colours, tending to be faded. The video function is jerky. The worst of it though is its big design flaw. If you are taking a photo in reduced light and it doesnt have to be dark, if you have a tv or monitor in the picture, all you get is a bright white screen. A trait of the ultrapixels apparently according to HTC, a big design flaw according to me. The HTC One will definitely be the last HTC phone i purchase. Wonderful review. I have a question about the typical Connect visitor and how our usage of the tools play into the relative weighting of the scores. Do we the readers shoot mainly stills or mainly video or are we split 50/50? And what do we use our pictures and videos for? Is it more for work, social media, or for our art? How does the use to which your typical visitor puts their camera phone affect the score? Do good still scores have more weight than good video scores or are they equal? Hi guys! Great camera review it did guide me a little bit on what to do on certain conditions. Anyways thought I would also ask further help from you guys. Well just want to ask how should I work around the purplish haze on the camera? Usually this occurs when using it at night when pointing the camera in very dark places with limited light source. The purple haze always show up in the dark parts of the picture. This only happens on dark places. Taking pictures in well lit places is perfect. And by the way the purple haze usually disappear when I set the iso lower than 800 but obviously the the picture becomes dark anymore rendering it unusable. Tried also using HDR mode on under that circumstances and it just adds up a white foggy view + the purple haze combined. And yeah same thing happening on night shots. Tried checking the exif and it always shows I am getting ISO 800 to 1000+ when using it in those dark places. Hey, the purple haze is caused by strong light sources that are just outside the frame. So if you take a night picture and have street lamp just outside the frame you've got a good chance to see the effect. We have also seen it in bright light with the sun just outside the frame. Your best bet is to frame your shot in a way so that you haven't got any light sources in the critical area. All I know is that I have great 2,3&5 megapixel pictures and that's all I need for a phone cam. I'd rather have low grain good low light than a massive grainy pic. Normal operation - Android is not as polish as iOS and transitions is jerking. It's like going back to Windows Vista after using mastering OSX. It's a sick feeling. HTC COO just step down and they are restructuring company quality control, that explained why my HTC one have three cracks from normal use. What a joke. Is this thing make out of "glass"? I never have to worry about iPhone screen scratch, let alone crack! I didn't even drop it! This thing run hot, hot to touch just using Google Map on the car. Nothing more frustrating that having to reboot your phone while using Google Map on the drive. It hangs, and stuttering so bad, i have to reboot the damn phone. Crappy OS can't help even with fastest processor on earth. HTC sync manager is a piece of junk ( On OSX), even the support told me to buy 3rd party software/app. That says, you have to pay if you are synching your data with your itunes. my friends switched to htc one said its amazing. Perhaps you received a lemon. I've never experienced any of the slowdowns you reported and the only time it runs relatively warm is when I've been playing a 3D game for 10-15+ minutes, but by no means unbearable. Can't speak for the sync manager as I either pull content off the phone via web services or just through Windows Explorer. I understand that a camera specifications page (à la DSLR) would be misplaced in this review but saying nothing at all about the recorded angle of view looks strange. All phone cameras are equivalent in this regard? I bought an HTC One last year. Never worked properly. When I sent it to HTC they returned a 'repaired' unit with a different serial number and it was defective too, but with different problems. Buyer beware! Can you provide any specifics? What was wrong with it? HTC One X or One X+? The One was released this past March. 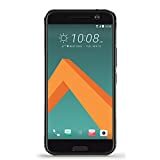 I was an avid HTC user and would love to keep buying them BUT microSD is simply a must have feature and HTC no long supports it. If you use your phone for music or as a picture mobile viewer for a large picture library nothing can currently replace or even remotely compete with microSD. Otherwise microSD is pretty optional. 4" USB OTG cable with a thumbnail sized microSD reader can go a long way towards mitigating the need for an internal microSD IMO... For a lot of those things it's actually more convenient than removing your case, lid, and possibly battery just to get at the card... I've yet to remove the 32GB card inside my EVO LTE (One X variant) but I've been getting a lot of mileage out of that USB OTG cable. Wouldn't the option of recording in raw make sense here? Those picking an "ultrapixel" camera would likely understand how useful raw can be. Then: Why on earth did HTC forgo a swappable battery? This is one of the great advantages that the Samsung Android phones and the new Blackberry Z10 have over the iPhone. RAW in a phone cam?? Please. As for your Macbook, hope you don’t own the new 15 inch Macbook “retina”. Then, it’s not so much about where or how to replace a built-in battery, it’s about when the phone stops working after some hours of use, and you don’t have AC power because you’re out and about, or/and you don’t have a charger with you. Milwaukee, Makita, Dewalt, Bosch would all be laughed out of the battery powered tool business if they stupidly shipped tools with only built-in batteries. And the same goes for Panasonic, Sony, Samsung, Nikon, Canon, Olympus, Fuji, etc and the camera business. i thought the camera is really good since the shadow areas are better in the htc one. i hope to see the same philosophy on a larger sensor though. Many of the reviews seem to skip over the fact that the pictures can be greatly improved through in camera adjustments. The review notes over sharpening by default but does not bother to lower it in the settings. It has been rumored that reducing sharpening to -1 greatly improves pic quality. Why is this not done? Again a phone that exhibits this annoying color shading. Why does this only occur in phones and not in any of the compact camera's? How difficult is it to design a phone without this 'featue'? This is the main reason why I almost never get usable pictures out of my Lumia 920 (and other phones). No sensor actually measures colors properly. There is always a need for a "profile" to adjust the color information provided by the sensor to the true colors. The profile is developed by the phone manufacturer and that's where the colors go awry. Hopefully a calibrated monitor is used to prepare the profile! The bottom line is that the colors are only as good as the profile that corrects the sensor output. I'd guess people like Datacolor are working on an app to fine tune color in the phone. They already have this for pad screens. Nokia 808 Pureview has not been beaten so far in this area. And could be even further, if the 808 recorded and shared raw data. Some of the indoor photos taken with the HTC One that I've seen exhibit the "pink spot" problem that has plagued several phone cameras, like my old Samsung Galaxy S2 Skyrocket. This is one reason I passed on the HTC One and went with the Galaxy S4, which does not seem to have this problem. The replaceable battery and MicroSD card slot are nice, too. phones back then had lower pixel count. were their sensor smaller? Nice phone, just the camera seems to be poor. Ultra pixels, ultra crappy IQ. Good work on the amount and quality of samples. It's really nice to browse it. I skipped to the conclusion, and saw 75%. I thought it would be more meaningful if there's a relative score. We want to know if it takes better pics than the Note 2 or other phones which sets the bar. we're working on a scoring comparison widget for our smartphone reviews but not quite there yet :-) For now I recommend you open the two reviews side by side. This is at least the 3rd article from dpreview alone involving comparison of the image quality of HTC One. Don't you guys have something better to review? This is arguably the most popular smartphone for imaging this year, so I think it is in order to publish a full review (this article) and include it in a couple of comparison shootouts but we will keep your feedback in mind. I finally realized why I dislike the name ultrapixel so much, because 1 ultrapixel = 10^42 megapixels. It's an si-prefix. Official SI prefixes go as far as 10^±24, and ultra isn't one of them. I got it from Wolfram alpha, of course I don't know where they got it. Maybe it's part of some other standard? So I guess it bothers me because it sounds like a prefix. 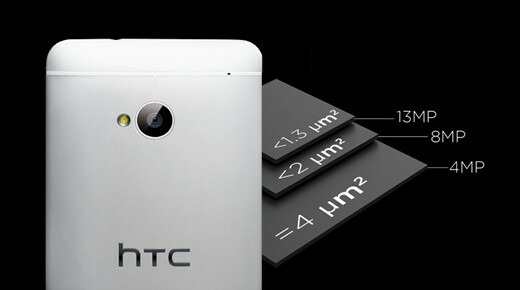 We get a closer look at what HTC is calling 'ultrapixel' technology at MWC. HTC One: Is it the ultimate camera phone? A new sensor approach, fast F2.0 lens and optical image stabilization make the HTC One 2013's most interesting camera phone so far.